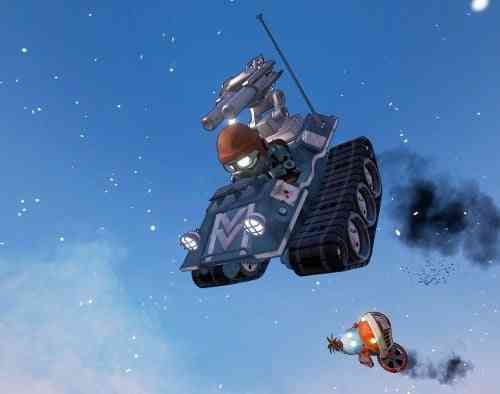 The Varkian universe is the setting of kart racer, Obliteracers by the appropriately named developers Varkian Empire. 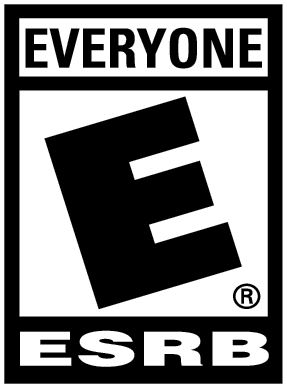 Obliteracers is, at its heart, a simple kart racer as evidenced by its run of the mill career mode, but don’t be fooled by the cover. The game evokes the feeling of Rocket League as its Versus mode, akin to custom offline games, and Online variants blow its single player mode out of the water, much like Rocket League itself. 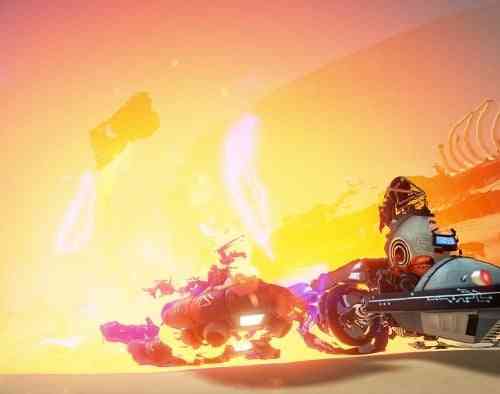 Obliteracers is fast, hectic, beautiful, and a joy to play. Heading to the career mode, the game features a nice tutorial to get the player up to speed. The everyday movement controls are paired with the square ability to attack and the cross button to both jump and drift – and while that may sound confusing and counterintuitive, it actually works well here. The game then has you go through a generic step of beating missions to unlock stars – bombs in this case – to then play more missions. 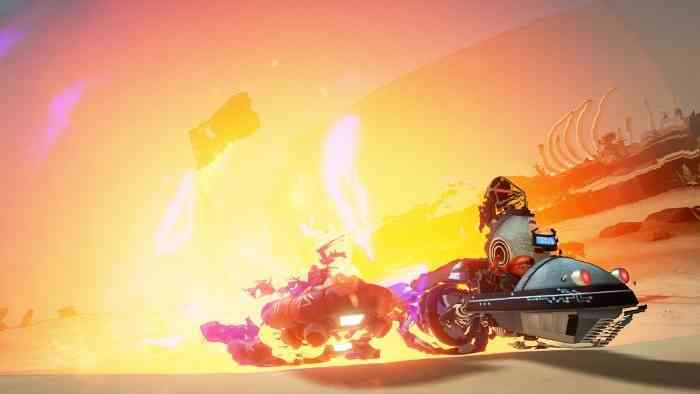 While there is a lot to praise in the overall gameplay and performance of the AI, the career mode simply pales in comparison to everything else Obliteracers has to offer. Everyone remembers the fun they had playing online in Rocket League, but seldom is the games single player offering discussed, and it’s the same here. 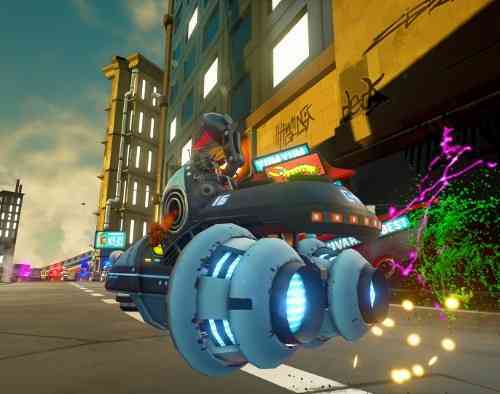 On the gameplay side, the controls take a while to get used to but there is definitely a bit of a skill gap as learning the physics and weight of your karts can immensely help whether that’s taking a sharper turn or using your kart to push enemies off a ramp. 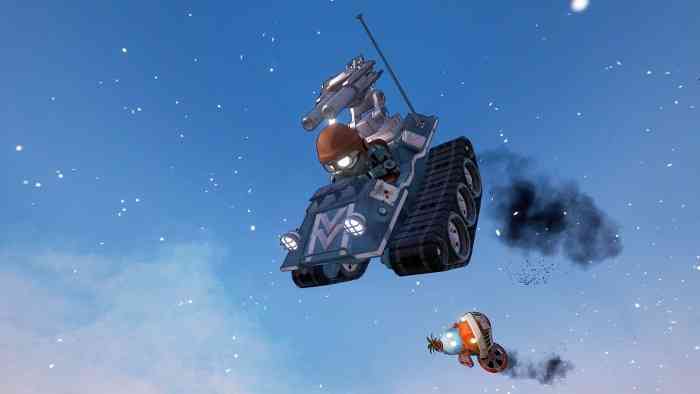 The game also features mandatory kart powerups like a flamethrower that comes out of the sides of your vehicle, guided missiles that slowly catch up to the target, and an amazing gravity pulse that knocks opponents every which way. On to “everything else”, and this is where Obliteracers starts to take shape. Versus mode allows for up to 16 competitors, including 4 human players, to compete in an assortment of modes and maps. Best of all, there’s an array of modifiers to tweak to your hearts content. Modifiers like Pinball, where colliding with other racers results into bumper mayhem, Ice Skating, that makes the track extra slippery, or Low Gravity, which is self-explanatory, only add to the hilarity. Combining certain modifiers that make sense together results in balanced matches that are hectic but manageable. Conversely, going all out and enabling mods like Explosive Taunts, wherein hitting the fire button without a weapon results in a self-destruct, and The Floor is Lava, that enables damage whenever a player touches the ground, in a single match are just as fun but rounds consequently end much quicker. Just make sure to never turn on Pinball, especially when playing with 15 other competitors, if you don’t want rounds to end before the first turn as it causes karts to go flying in all directions with the slightest bump from another player. On the online side, the hectic rounds are as fun as ever with matches of Survival, where the goal is to be the last man standing, coming down to the wire before crowning an eventual champion. Post-game carnage reports are also a cool way of seeing who excelled in what department. I was consecutively awarded the Combat Veteran medal for taking out the most targets, but that meant nothing when opposing players smartly let others deal with everybody else and only had to knockout one person to win a round. Something also needs to be said about the games visuals. 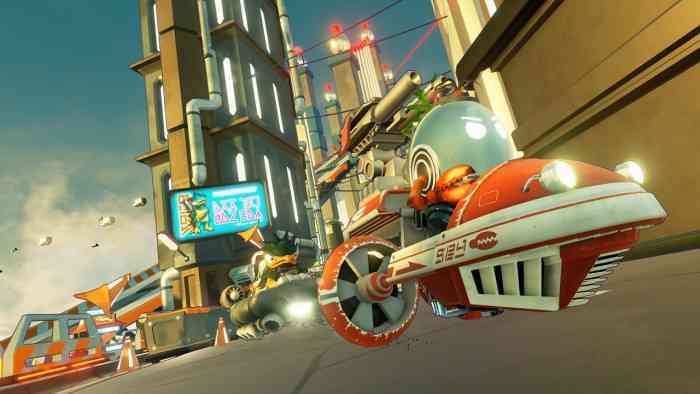 Smaller titles will never have the texture qualities that AAA games do, but Obliteracers is downright gorgeous in its lighting and overall art style. The Urban city setting is especially noteworthy as its nighttime theme shows off the immaculate lighting. 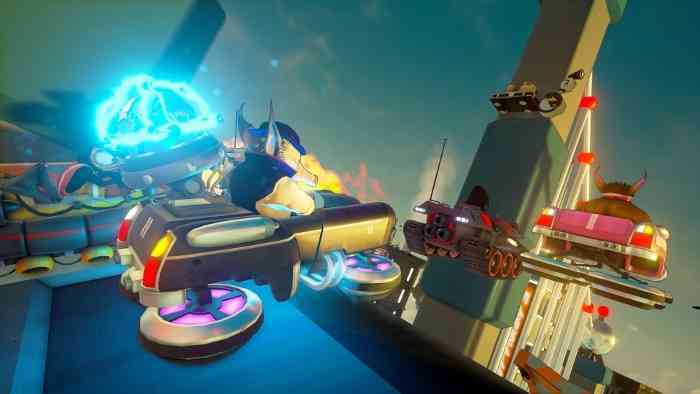 With some modifications and a greater overall production value, Obliteracers and whatever its future holds could really be up there with the likes of Rocket League. The developers at Varkian Empire have crafted a sound base for a phenomenal game, although just like Rocket League its single player career mode is not the main attraction. 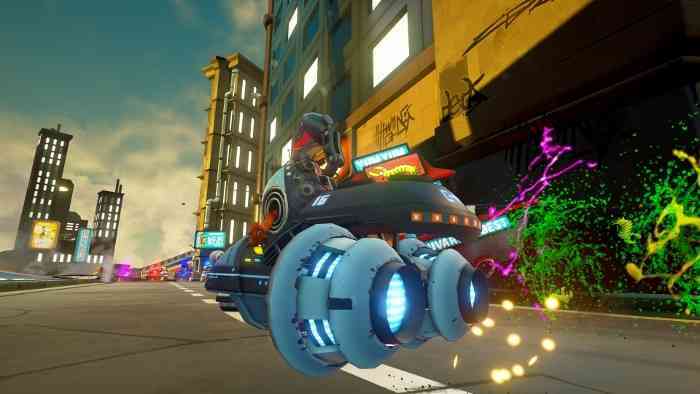 The noteworthy Versus mode and online aspects more than makeup for the run of the mill career mode and the game’s suite of controls and abilities are perfect for a kart racer. 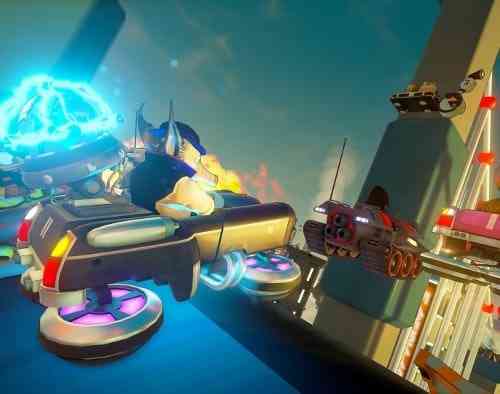 Obliteracers is beautiful, hilarious, challenging, and a blast to play.